I seem to be only posting when I leave home and when I come back - three more trips back to back and then it is home for awhile. 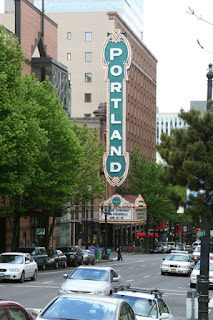 Since I have been home for at least a week I was able to catch up with friends for Sunday brunch at the Heathman and a little shopping in downtown Portland. It was one of those great weather days in the Pacific NW - the kind that keep us here and remind us why we live in such a beautiful part of the world! I wanted to post some pictures here but Blogger is not letting me...not sure what is going on here! Rosy Little Things - the very talented Alicia, who will inspire you to do things that you thought were impossible. I started crocheting a ripple blanket because of Alicia! She also has a link to her online store of handmade goodies. Altogether Too Happy - my business partner and friend Stacy Julian; inspiring, funny and always guaranteed to bring on a smile! Cause Honey, if it isn't fun, we don't do it - my best buddie Dottie, looks like she is having problems with pictures on her blog too. Angry Chicken - another inspiring blog! makes me want to get out the sewing machine and bake in the kitchen. We are on our way out to Cleveland, Ohio for the taping of Scrapbook Memories. Stacy will have a snipet of time on each epispode - this will start airing in July! If your public television station does not have Scrapbook Memories contact them and request that they air the program.